Whether goofy, serene, or hilariously terrifying, Seth Casteel’s remarkable photographs of dogs playing underwater reveal a side to their eyelids, gums, and tongues that one could never have seen on dry land. 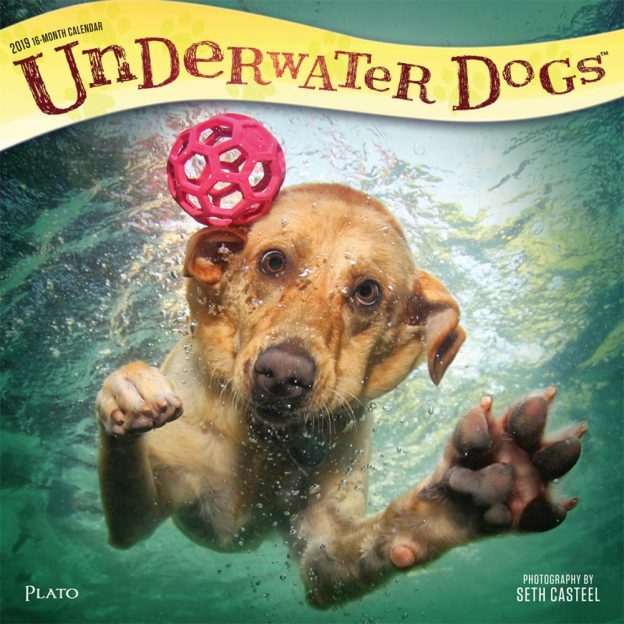 From blasé retrievers to googly-eyed mutts, there’s an underwater dog for every month, mood, and inclination. The Underwater Dogs calendar makes a perfect gift for those who enjoy an alternative yet ever-delightful view of our most loyal friends. This entry was posted in Calendar Showcase, Square on February 15, 2019 by platoadmin.